Hattori Hanzō (服部 半蔵, ~1542 – November 4, 1596), also known as Hattori Masanari or Hattori Masashige (服部 正成), was a famous samurai of the Sengoku era. He is famous for saving the life of Tokugawa Ieyasu and then helping him to become the ruler of Japan. Born the son of Hattori Hanzō Yasunaga (服部 半蔵(半三) 保長), a minor samurai in the service of the Matsudaira (later Tokugawa) clan. He would later earn the nickname Oni no Hanzō (鬼の半蔵, Demon Hanzō) because of the fearless tactics he displayed in his operations. This is to distinguish him from Watanabe Hanzo (Watanabe Moritsuna), who was nicknamed Yari no Hanzō (槍の半蔵 Spear Hanzō). It is said that Hanzō started his training at the age of 8, on Mount Kurama situated north of Kyoto, became an expert warrior by the age of 12, and was recognised as a full-fledged samurai at the age of 18. He fought his first battle at the age of 16 (a night-time attack on Udo Castle). He later made a successful hostage rescue of Tokugawa’s daughters in Kaminogō Castle in 1562 and went on to lay siege to Kakegawa Castle in 1569. 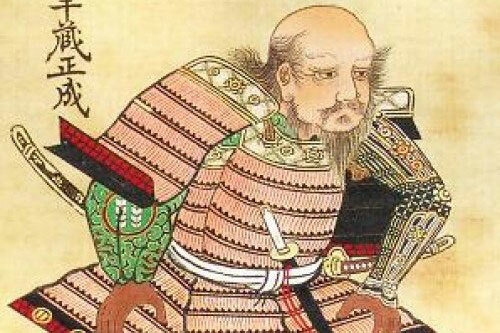 He also served with distinction at the battles of Anegawa (1570) and Mikatagahara (1572). According to the Kansei Chōshū Shokafu, a genealogy of major samurai completed in 1812 by the Tokugawa shogunate, Hattori Hanzō rendered meritorious service during the Battle of Mikatagahara and became commander of an Iga Unit consisting of 150 men. In fact, he captured a spy of Takeda Shingen named Chikuan and when Takeda’s troops invaded Totomi, Hanzō counter-attacked with only 30 men at the Tenryū River. During the Tenshō Iga War, in 1579, he defended the ninja homeland in Iga province against Oda Nobukatsu, the second son of Oda Nobunaga. And again he valiantly fought in 1581, though unsuccessfully this time, to prevent the Iga province from being eliminated by forces under the personal command of Nobunaga himself. But his most valuable contribution came in 1582 following Oda Nobunaga’s death. In fact, he led the future shogun Tokugawa Ieyasu to safety in Mikawa Province across Iga territory with the help of remnants of the local Iga ninja. According to some sources, Hanzō also helped in rescuing the captured family of Ieyasu. He served during the siege of Odawara and was awarded 8,000 koku. And by the time Ieyasu entered Kantō, he was awarded an additional 8,000 koku and had 30 yoriki and 200 public officials for his services. Ieyasu was said to have also begun to employ more Iga ninja with Hanzō as their leader. Some tales often spoke of him as possessing various supernatural abilities, such as teleportation, psychokinesis, and precognition. All these contribute to his continued prominence in popular culture. He died at the age of 55. After his death, on 4 November 1596, Hattori Hanzō was succeeded by his son, whose name was also Masanari, though written with different kanji. He was given the title of Iwami no Kami and his Iga men would act as guards of Edo Castle, the headquarters of the government of united Japan. To this day, artefacts of Hanzō’s legacy remain. Tokyo Imperial Palace still has a gate called Hanzō’s Gate (Hanzōmon), and the Hanzōmon subway line. As historical figure and as one of the protagonists of one of Japan’s greatest periods for samurai culture, Hattori Hanzō has many admirers, both within Japan and abroad. In modern culture, he is most often portrayed as involved with the Iga ninja clansmen. Many films, specials and series on the life and times of Tokugawa Ieyasu depict the events mentioned above. The actor Sonny Chiba played his role in the series Hattori Hanzô: Kage no Gundan (Shadow Warriors), where he and his descendants are the main characters. His life and his service to Tokugawa Ieyasu are fictionalised in the manga series Path of the Assassin, while the young Hanzō is the main character in the manga Tenka Musō. The novel The Kouga Ninja Scrolls and its adaptations feature the four Hattori Hanzos serving as ninja leaders under the rule of Tokugawa Ieyasu. Hanzō also appears in the novel Fukurō no Shiro (Owl’s Castle), as well as in many manga. In the manga and anime series Gintama he appears as a parody character named Hattori Zenzo, while in the manga Naruto the character named Hanzō is the leader of a hidden ninja village of Amegakure. In Samurai Deeper Kyo, an unusual plot turn reveals that Hattori Hanzō is actually the real Ieyasu Tokugawa in disguise. He also appears in Tail of the Moon and in the live-action film Goemon, other than in the episode “Spartan vs. Ninja” of the TV show Deadliest Warrior. Hattori Hanzō appears as a recurring character in the Samurai Shodown video game series by SNK, appearing in every game in this series, as well as in its anime adaptation. He also has some guest appearances in The King of Fighters series. In World Heroes, another SNK video game series, Hanzō is one of the main characters along with his rival Fūma Kotarō. In the video game series Samurai Warriors, he is portrayed as a highly skilled ninja, highly loyal to Tokugawa Ieyasu. Hanzō is also featured in several other video games such as Taikou Risshiden V, Kessen III, Civilization IV: Beyond the Sword, Shall We Date? : Ninja Love, Pokémon Conquest, Sengoku Basara: Samurai Heroes, and the Suikoden series. In the limited edition of Total War: Shogun 2 he is the heir of the Hattori Clan, one of the factions fighting for supremacy over Japan, and has a DLC unit called “Hanzo’s Shadows”. Some works, such as the trading card game Force of Will, the series Hyakka Ryōran, the anime series Sengoku Otome: Momoiro Paradox, and the video game Yatagarasu, reimagine him as a female ninja character. 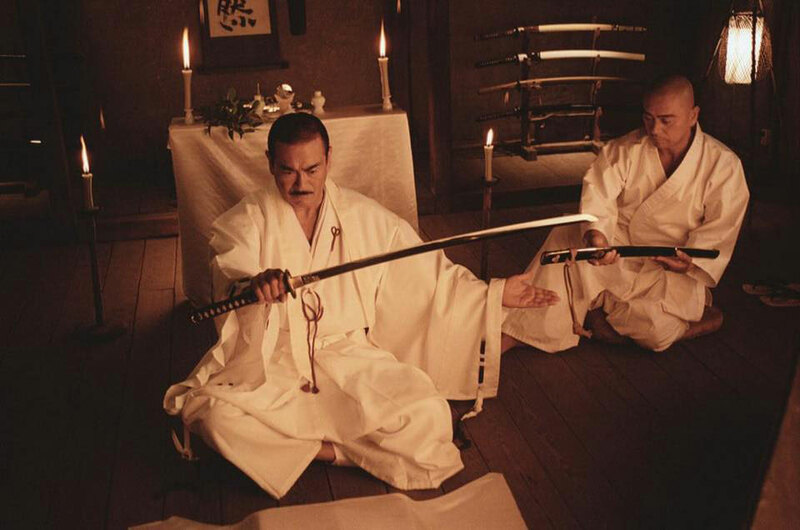 In the film Kill Bill, Hattori Hanzō is the name of an incredibly skilled master swordsmith who creates lethal swords. He is the one who created a special katana for the protagonist, although he had sworn to himself that he would never create instruments of death again.